The now famous “robotic trolley”, designed to make postal deliveries easier in city centres, could be seen wondering around the show. Held in Nevers, the event was an opportunity to experience the intelligent cities of the future with partners including La Poste and its new solutions. The SIIViM (Sommet International de l’Innovation en Villes Médianes or international summit for innovation in medium-sized cities) is the first collaborative event on the theme of digital technology and innovation involving cities of this size. Breaking away from the conventional rows of stands, the SIIViM adopted a huge demonstrator representing a connected city with streets, shops, parks, schools and public areas. Over the two days, economic and institutional players immersed themselves in this mock-up, alongside members of the public. A total area of 1,000 m2 to discover in ten themed walks! 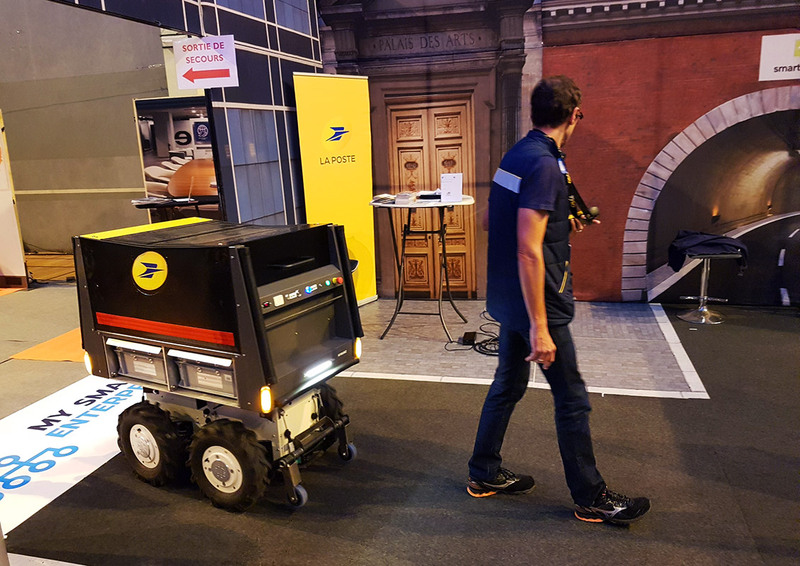 Seven innovations by La Poste were on show at the SIIViM. Two highly visible innovations were viewed with real enthusiasm by visitors: the robotic trolley and Geoptis. 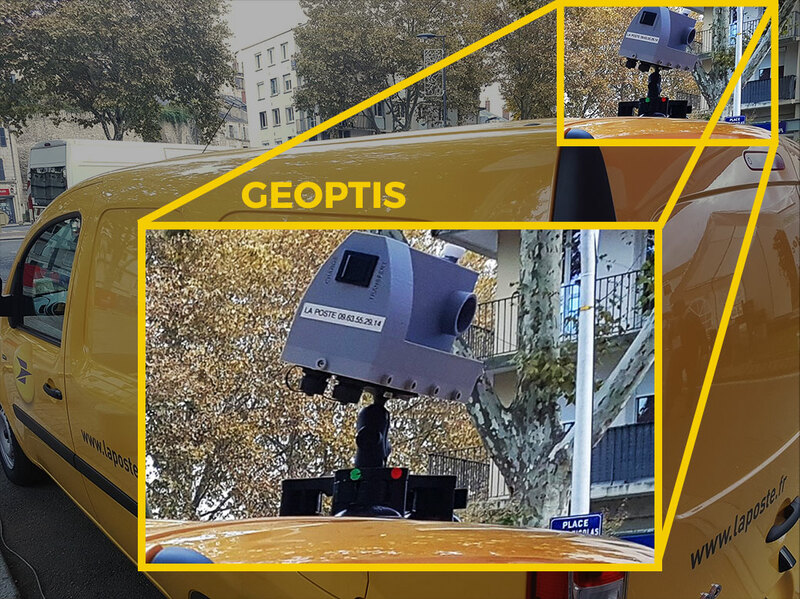 A postal vehicle presented at the SIIViM equipped with the camera collecting street-related information as part of the Geoptis service.